We give you the need-to-know details about U.S. Indoors below before taking a closer look at the 1000’s below. 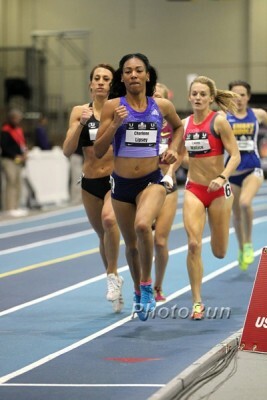 We’ve already previewed the 600s here: 2017 USA Indoors 600m Preview: What A Clash – Ajee Wilson Vs. Courtney Okolo Headlines Women’s Field As World Record Holder Cas Loxsom Headlines Men’s Field. 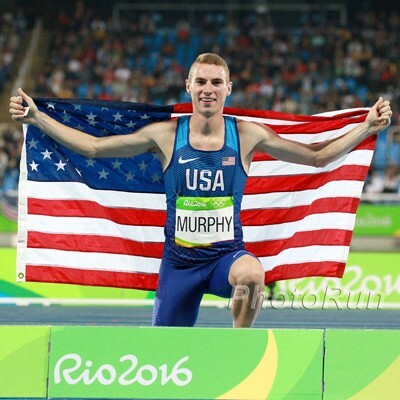 Though he only turned 22 last week, Murphy is the most accomplished guy in the field by virtue of his Olympic bronze medal. 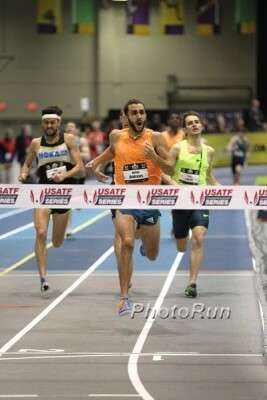 Though he looked out of place running an 8:16 3k in his season opener in January, he fared much better at the more familiar distance of a mile at Millrose, taking second in 3:54 behind Eric Jenkins. His most recent race was a 1:47.22 800 in Akron, and while the time wasn’t crazy impressive, he ran it solo and won by over five seconds. The biggest takeaways about Murphy: his run in the Wanamaker Mile proved that he is fit, and the 1000 is the perfect distance for him. Remember, he held off Matthew Centrowitz in a 1000 last summer four weeks before Centro won Olympic gold. Brannon Kidder and Robby Andrews are two other men made for the 1000, so it should come as no surprise that both are entered here. Kidder is the NCAA record holder in the event (2:18.26) and enters as the world leader thanks to his 2:19.92 at Millrose. Even though that’s over a second slower than what he ran last year at Penn State, it was good enough to defeat Cas Loxsom, Donavan Brazier and American record holder David Torrence, who all ran at Millrose as well (though none are in the 1k at USAs). Andrews, the U.S. high school record holder (2:22.28), won this event the last time it was contested at USAs in 2015, using it as a springboard to make his first Worlds team in 2015 and first Olympic team in 2016. Though he hasn’t been as good this year indoors as he was last year (3:53 at Millrose, 2nd at USAs, 3th at World Indoors), the Andrews of 2017 compares well to the Andrews of 2015. In 2015, Andrews ran SBs of 1:51.62 and 2:21.23 before winning USAs. This year, he’s run faster in the 800 (1:50.04) and the same exact time in the 1000 (2:21.23). He’s also coming off a win, taking down old college rival Andrew Wheating to win the mile at the Ocean Breeze Grand Prix on February 18 in 3:59. 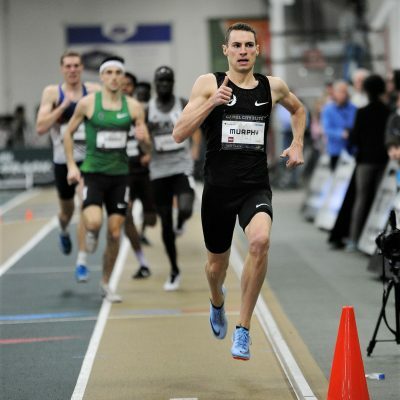 The bad news for Andrews is that it may take much more than his 2015 fitness (when he ran 2:21.91 in the final) to win against this field: Murphy beat him badly in the Wanamaker Mile. Colby Alexander and Andrew Wheating are the other guys worth mentioning. Alexander is more of a pure 1500 runner (he hasn’t run anything shorter since May 2015) but with NJ*NY TC already entering three guys in the mile, it looks like they wanted to divide their resources. He ran well at Millrose (3:55 for 5th) but he lost to Murphy there and we don’t see him beating Murphy in a shorter event. Wheating, who has made the Olympics at both 800 and 1500, is better-suited to the 1000, and his 2:20.72 at BU on February 11 is the #2 time this year among entrants. That was his best race this season as he’s lost miles to both Andrews and Kidder this year. “It’s pretty clear, you go straight to the front and you go or you just take one step backwards, let everyone go and then go,” Wheating said. 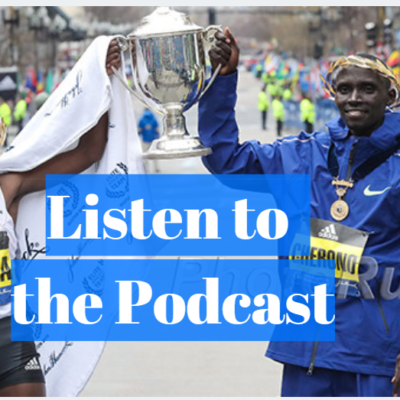 LRC prediction: This race is a real treat as 1k (not the 800 or 1500/mile) may be the ideal distance for many of the big players – Murphy, Kidder, Andrews and Wheating. But let’s not overcomplicate this. Murphy is the best guy on paper – he’s an Olympic medallist – and he always brings his best in the biggest races. While USA Indoors isn’t as big as USA Outdoors (or even NCAAs), he should do well here. We’ll take Murphy FTW, but could easily see Kidder or Andrews taking the victory as well. Who will win the men's 1000 at 2017 USA Indoors? Lipsey’s emergence as one of the U.S.’s best middle distance runners has been one of the biggest stories of the 2017 indoor season, so it’s fitting that she has a chance to end it by winning her first national title. It’s really quite remarkable what she’s been able to accomplish in such a short time under new coach Derek Thompson. While there are several women who could give her a fight over 1000 meters, they’re either running a different distance here (Ajee Wilson) or skipping USAs entirely (Jenny Simpson, Brenda Martinez, Shannon Rowbury). That leaves Lipsey as a commanding favorite. Lipsey, who has run impressive times of 1:58.64 (#2 indoor 800 in U.S. history) and 4:30.13 in the mile (a 14-second improvement on her PB at the start of 2017), has earned that status, but she’s also helped by the fact that this is one of the weaker fields of any event. The #2 seed is a high schooler, and while Sammy Watson is no ordinary high schooler — she just broke Mary Decker‘s 43-year-old high school 800 record by running 2:01.78 — she also lost to Lipsey by over three seconds in that race. Hannah Fields has the fastest 1000 time this year among women entered at 2:40.27, but that was her only race this year and her PRs (4:31 mile, 2:03 800, both outdoors) aren’t as strong as Lipsey’s. Lauren Johnson is the most accomplished entrant, as she made the World Championship team in 2015 and was 8th at the Olympic Trials last year outdoors. 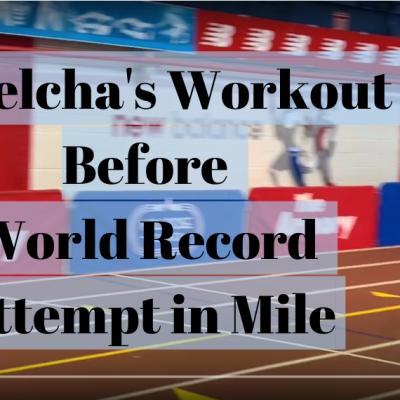 And while she won her only 1k of the year, she finished six seconds behind Lipsey in a mile on February 4 and Lipsey is a better fit at 1000 than she is in the mile. Megan Krumpoch, who trains with Mark Coogan‘s New Balance group in Boston, has enjoyed a banner year, dropping her indoor PRs from 2:04.02 and 4:38.51 to 2:02.22 and 4:32.03, but again, Lipsey has run so much faster over 800 meters. 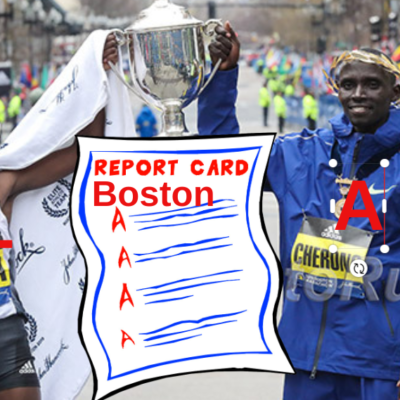 LRC prediction: The 1000 is an odd distance, and that’s the only reason why we won’t say that Lipsey is a 100% lock. But no pro runner races that many 1000s anyway, and Lipsey is the top returner from when this event was last held at USA Indoors in 2015. We’d be very, very surprised if she loses this race. 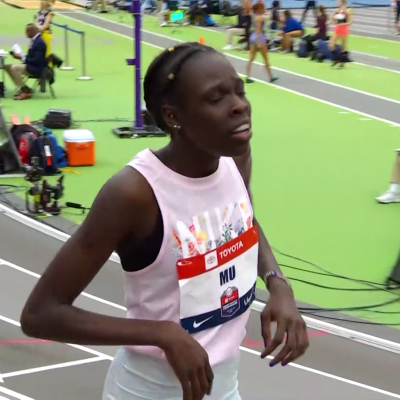 Who will win the women's 1000 at 2017 USA Indoors?